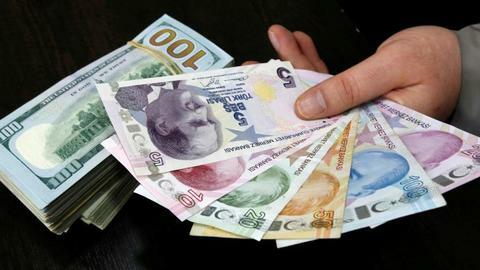 Can mutual business interests reduce Turkey-US tensions? Turkey can't leave the security of a safe zone to others while it is under threat, President Recep Tayyip Erdogan said on Tuesday. Speaking to NTV-Star joint broadcasting about a proposed safe zone, Erdogan said that "Turkey's main goal now is completely clearing terrorist PYD/YPG from Manbij, Syria." "We are determined. What matters for us is that the safe zone should be under Turkey's control. We can't leave it to Germany nor France or the US. I put that plainly." Erdogan added that the US should keep its promise of taking back weapons from the YPG. The US provided thousands of trucks of weapons and ammunition to the YPG in the fight against Daesh, promising to take them back once the group is gone. Erdogan, however, also mentioned he did not believe the sincerity of the US who said they would retrieve YPG's weapons. "[At the safe zone] are 18 bases. These are consolidated from some point. I guess in that region also has an armament market. Some of these [weapons] are sold." The YPG which dominates Syrian Democratic Forces (SDF) is a branch of the PKK that is considered a terrorist organisation by the US, Turkey and the EU. US President Donald Trump declared victory against Daesh and announced the full and immediate withdrawal of 2,000 troops at the end of 2018 that American boots will be in Syria no more. Earlier this month, a senior US Army general said the United States should keep arming and aiding the YPG-dominated Syrian Democratic Forces (SDF) following the planned US withdrawal from Syria. US support for the YPG-dominated SDF, which controls the region, is a bone of contention between Ankara and Washington. "If this withdrawal becomes a stalling method, our approach will be different," Erdogan said, adding that 200 to 500 troops may stay from other US-led coalition forces. Last week, the United States said it would leave a small peacekeeping group of 200 American troops in Syria for a period of time after a US pullout. President Erdogan also stressed that the US is not keeping its promises regarding the Manbij roadmap that aims for YPG terrorists to clear the region in 90 days. "Now the Syrians are inviting us. They trust Turkey so much that the tribes there constantly call for us to take action in Manbij," Erdogan said. "We are very sensitive about the terror corridor, which we have expressed as a safe zone for us," he continued. Erdogan said he might meet with White House adviser Jared Kushner, Trump's son-in-law, in Turkey on Wednesday alongside Finance Minister Berat Albayrak, and the meetings would cover economic and regional issues. During the interview, Erdogan said that Turkey will not change course on buying S-400 missiles from Russia, but the country could also accept a "good offer" on US Patriot missiles. "Regarding the Patriot issue, if you [the US] provide us good conditions, we are open to that as well. We have to work with alternatives," Erdogan stressed. After protracted efforts to purchase air defence systems from the US with no success, in 2017 Ankara pivoted to Russia, striking a deal to procure S-400 air defence systems instead. Reminding viewers that Venezuela's President Nicolas Maduro had stood by Turkey during the coup attempt, Erdogan called the Venezuela crisis "a coup attempt at Maduro". He added that what is happening to the Venezuela president is "an attempt to seize gold and diamond reserves of Venezuela". 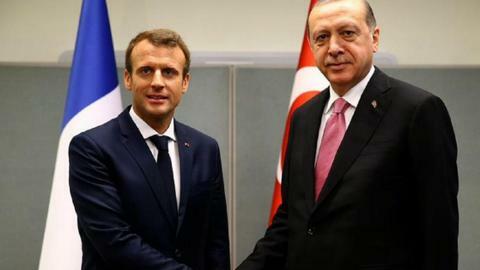 Criticising EU countries for attending a summit hosted by Egyptian President Abdel Fattah el Sisi, Erdogan said EU leaders lecture Turkey about executions, then pose for pictures with a man who has executed 42 Egyptians since coming to power and nine young people only last week, referring to Sisi. The two-day summit in Egypt’s Red Sea resort of Sharm el Sheikh on Sunday and Monday saw heavy attendance by European officials.